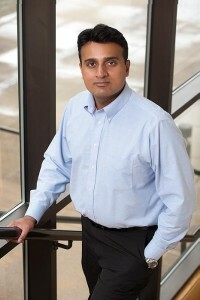 Dr. Nair has over a decade of experience developing cleantech-related materials, devices, and systems. In addition to his role with SST, he holds leadership and board level roles in HiFunda LLC, Oscilla Power, Inc. and OPI Downhole LLC. Previously, as the founding CEO of EmiSense, he led development of a novel ceramic emissions sensor for diesel engines through the company’s acquisition by Coorstek in 2008. 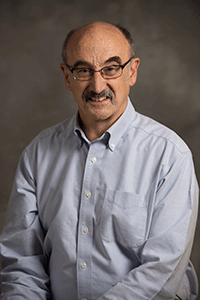 He also worked on materials developing and commercializing materials technologies in his prior positons at Ceramatec, Inc. and Argonne National Laboratory. Dr. Nair has a Ph.D. in Materials Science from the University of Wisconsin-Madison, a Professional MBA from the University of Utah and a B.Tech. in Metallurgical Engineering from the Indian Institute of Technology-Bombay. He has 25 approved patents and another 25+ pending patent applications. Eric Jordan COO (Ph. D.) has over three decades involvement with high temperature materials including coatings and nearly two decades experience with thermal spray coatings. He has extensive experience with and was one of the primary developers of the solution plasma spray process, a key technology of Solution Spray Technologies LLC. Dr. Jordan is currently finishing up a 30+ year career as a professor of Mechanical Engineering at the University of Connecticut which included extensive consulting in the gas turbine industry as well as over 60 funded research project the majority of which involved thermal spray. Dr. Jordan has a Ph. D. form the University of Wisconsin in Engineering Mechanics, is a Fellow of ASME and a member of the Connecticut Academy of Science and Engineering. Dr. Maurice (Maury) Gell, has a long history at the forefront of high temperature materials and coatings development for gas turbine engines. Many of the current production thermal barrier coatings (TBCs) and directionally solidified and single crystal superalloys were developed by Dr. Gell and his group at Pratt & Whitney. Dr. Gell has 27 years of service at Pratt & Whitney, culminating in his position as Manager of High Temperature Materials and Coatings. 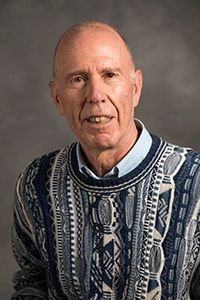 In addition, Dr. Gell has 22 years experience as Research Professor at the University of Connecticut.